This is the sweetest picture . Just look at those little legs and boots ! It's not really so odd when you look at all the cheap frames my mom used to put our pictures in, they were all thin gold colored frames with velvet covered cardboard backing that slid out so you could easily replace it with a newer school picture. Some had two or three linked frames and they sat up because of the flap attached in back. 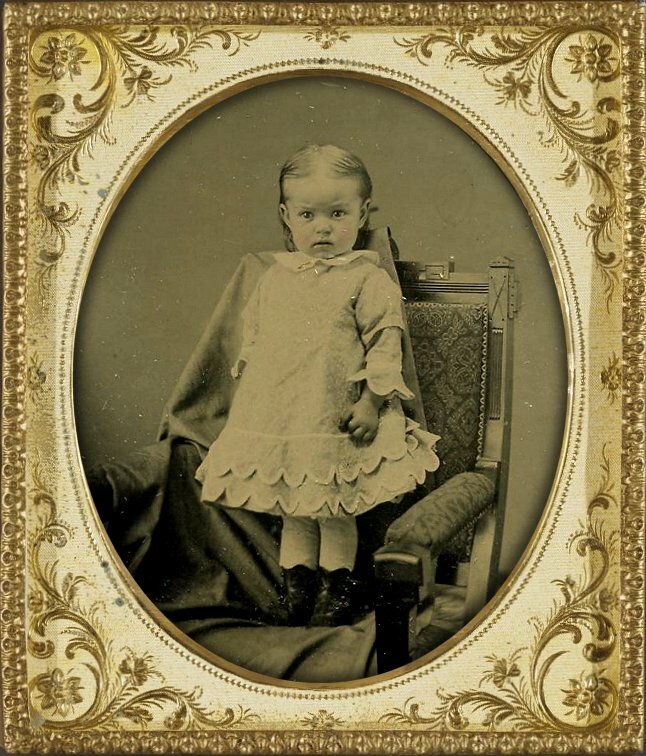 All photos with this kind of frame date around the middle of 19th century.